The narcissist is besieged and tormented by a sadistic Superego which sits in constant judgement. It is an amalgamation of negative evaluations, criticisms, angry or disappointed voices, and disparagement meted out in the narcissist's formative years and adolescence by parents, peers, role models, and authority figures. These harsh and repeated comments reverberate throughout the narcissist's inner landscape, berating him for failing to conform to his unattainable ideals, fantastic goals, and grandiose or impractical plans. The narcissist's sense of self-worth is, therefore, catapulted from one pole to another: from an inflated view of himself (incommensurate with real life accomplishments) to utter despair and self-denigration. Hence the narcissist's need for Narcissistic Supply to regulate this wild pendulum. 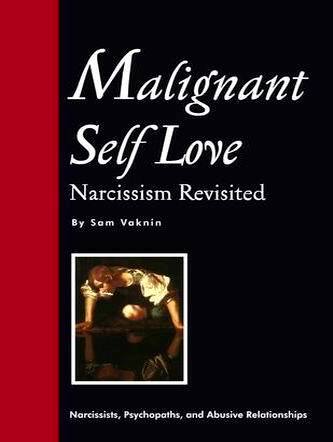 People's adulation, admiration, affirmation, and attention restore the narcissist's self-esteem and self-confidence. 1. His sense of self-worth and worthiness (the deeply ingrained conviction that one deserves love, compassion, care, and empathy regardless of what one achieves). The narcissist feels worthless without Narcissistic Supply. 2. His self-esteem (self-knowledge, the deeply ingrained and realistic appraisal of one's capacities, skills, limitations, and shortcomings). The narcissist lacks clear boundaries and, therefore, is not sure of his abilities and weaknesses. Hence his grandiose fantasies. 3. His self-confidence (the deeply ingrained belief, based on lifelong experience, that one can set realistic goals and accomplish them). The narcissist knows that he is a fake and a fraud. He, therefore, does not trust his ability to manage his own affairs and to set practical aims and realize them. By becoming a success (or at least by appearing to have become one) the narcissist hopes to quell the voices inside him that constantly question his veracity and aptitude. The narcissist's whole life is a two-fold attempt to both satisfy the inexorable demands of his inner tribunal and to prove wrong its harsh and merciless criticism. It is this dual and self-contradictory mission, to conform to the edicts of his internal enemies and to prove their very judgement wrong, that is at the root of the narcissist's unresolved conflicts. On the one hand, the narcissist accepts the authority of his introjected (internalised) critics and disregards the fact that they hate him and wish him dead. He sacrifices his life to them, hoping that his successes and accomplishments (real or perceived) will ameliorate their rage. On the other hand, he confronts these very gods with proofs of their fallibility. "You claim that I am worthless and incapable" – he cries – "Well, guess what? You are dead wrong! Look how famous I am, look how rich, how revered, and accomplished!" But then much rehearsed self-doubt sets in and the narcissist feels yet again compelled to falsify the claims of his trenchant and indefatigable detractors by conquering another woman, giving one more interview, taking over yet another firm, making an extra million, or getting re-elected one more time. To no avail. The narcissist is his own worst foe. Ironically, it is only when incapacitated that the narcissist gains a modicum of peace of mind. When terminally ill, incarcerated, or inebriated the narcissist can shift the blame for his failures and predicaments to outside agents and objective forces over which he has no control. "It's not my fault" – he gleefully informs his mental tormentors – "There was nothing I could do about it! Now, go away and leave me be." And then – with the narcissist defeated and broken – they do and he is free at last. In the patient with a personality disorder, the sadistic and disparaging inner voices that constitute the Superego (in Freud’s parlance) are implacable. If the patient is successful these introjects, or inner representations (of narcissistic parents, for example), become virulently envious and punitive. If the patient fails in his endeavours, these internalized avatars feel vindicated, elated, euphoric and morally justified in their quest to inflict pain and castigation on the patient. But why does the patient not resist? Why doesn’t s/he rebel against these embedded tormentors, at least by doubting their omniscience, infallibility, and veracity? Because it feels good to satisfy them (it feels good to cater to mother’s emotional needs and thereby to be a “good boy”, for example). It is a masochistic Stockholm Syndrome, a shared psychosis (follies a plusieurs). The patient doesn’t experiences these harsh juries sitting in judgement over him, his traits, skills, and actions as alien, but as an integral part of himself. Their gratification at his self-immolation is also his.